The U.S. Fish and Wildlife Service has announced it will move forward with a scientifically indefensible plan to reduce the red wolf recovery area by 90 percent, while eliminating protections for any wolf that leaves the Alligator River National Wildlife Refuge or adjacent federal property. 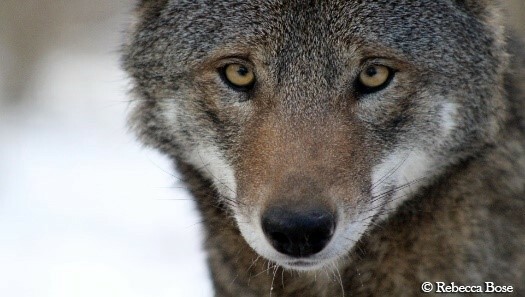 The agency is not only restricting the wild population to federal lands that can only support a population of 15 wolves, but also proposing to lift all take prohibitions on private lands outside of this area, allowing red wolves to be shot on private lands without consequence. The red wolf population is classified as a nonessential experimental population under section 10(j) of the Endangered Species Act (ESA). The U.S. Fish and Wildlife Service (FWS) is considering a regulation change to reduce a 1.7 million acre five-county recovery area that supported up to 150 wolves historically down to a single county that can only support a single pack of wolves. When these wolves naturally roam from this area in search of food, a mate, or a new territory the new rule will do nothing to protect them. This plan is a death sentence for red wolves in the wild. Restricting wolves to a fraction of the former recovery area and taking away their protection from being shot and killed everywhere else will certainly lead to their extinction in the wild. Any revision of the regulation for red wolf management must prioritize recovery, not cater to those who would rather see red wolves disappear from North Carolina. The U.S. Fish and Wildlife Service held a comment period on the proposed 10(j) rule change in 2017. Nearly all the public comments submitted were in support of red wolves. In fact, 99.8% supported recovering the red wolf in the wild in North Carolina. Defenders denounced FWS’ misguided plan for the red wolf program when it was announced in 2016 and we oppose any attempt to move forward with that proposal now. Our nation’s wildlife agency needs to do right by the wolf instead of abandoning 30 years of hard work and stewardship success. Defenders works on the ground, in the courts and on Capitol Hill to protect and restore imperiled wildlife across North America. Defenders is committed to the sustainable conservation of wildlife for future generations.